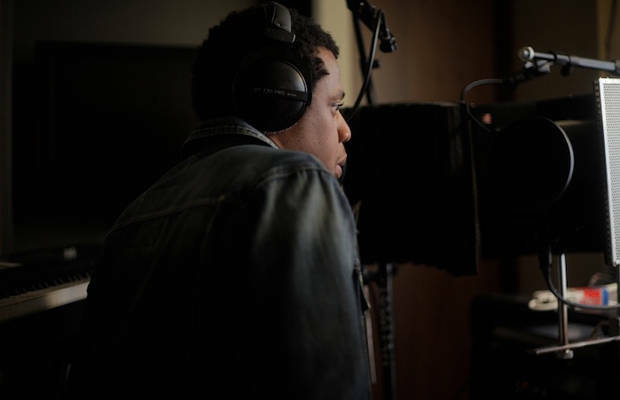 Jigga’s Engineer Young Guru sat down with Complex to talk about Jay-Z and his habits while working in the studio, One of them is that Jigga needs to “Download” his Rhymes. Young Guru: “Jay writes in his head, so we have times where he goes, ‘I need to download.’ He doesn’t call it that, but that’s what I call it. There’s so much stuff in his head that sometimes he just raps to a hi-hat or to a click or to nothing because he’s writing songs and he needs to remember them so he’ll record them. So it’s like, take that out the brain until I need it again. I can put it back in there when I need to say it. “After we got home from the Watch The Throne tour, Jay was writing and when the New Year started not only did we knock out the song ‘Glory’ for Blue Ivy Carter, but it’s just like, ‘Okay, download. Just put up any beat or give me a click and let me just say these raps so I can just have them. I need to get them out of my mind because I’ve been holding them for two months.’ He does that a lot. He just started going in and it’s like every other day we’d end up with new records.” He also revealed that Jay-Z is already working on his new album.